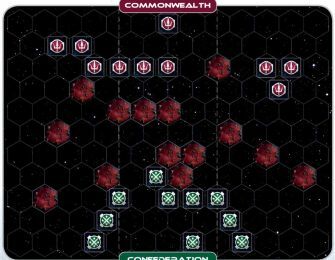 The enemy and we have both located the hidden supply base. 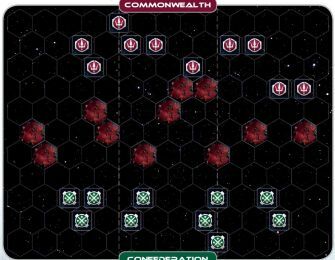 Although both wings of the task force have not yet joined together, we are moving forward at once, with the hope that aggressive manoeuvring and careful resource management will allow us to gain control of the planet known as Acme and its hidden supply base. 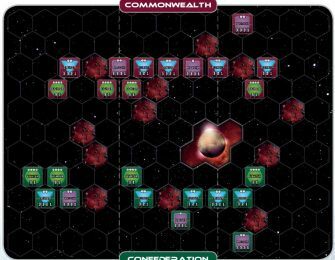 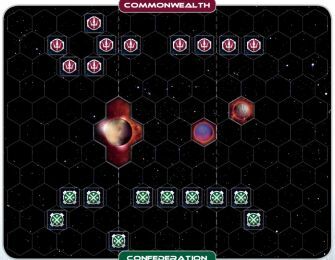 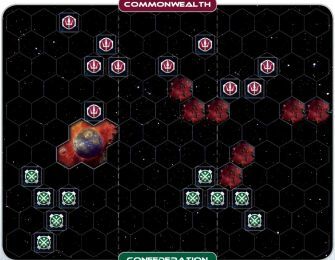 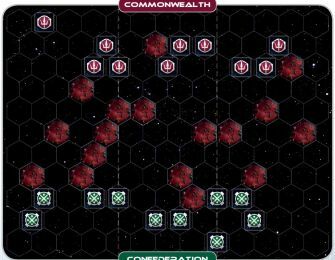 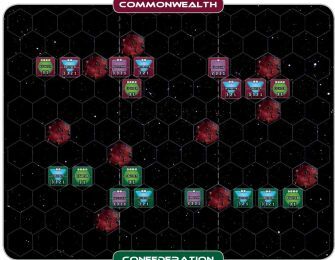 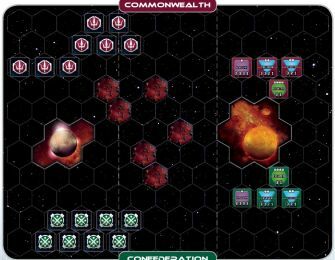 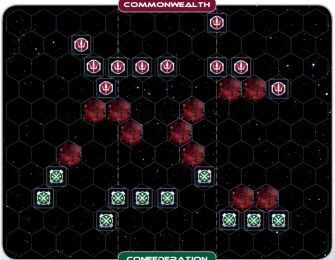 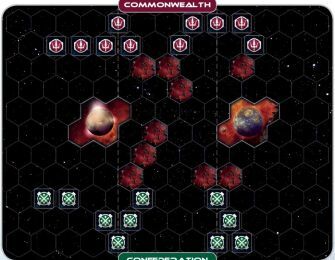 Rule Note: When an enemy unit is on an adjacent planet hex, it will contest the occupied planet hex and no faction marker can be placed.